A beautiful smile can make or break our confidence. When we feel good about our teeth, our smile comes readily, but when we have uneven spaces and gaps between them, we may feel insecure and hesitate before flashing our grin. Improper spacing and gaps in our teeth can be caused by a variety of reasons, but fortunately, most are fairly easily treated. You don't have to suffer from embarrassment from a crooked-tooth smile any longer! Having uneven spacing between your teeth isn't just a cosmetic issue; it can lead to a variety of complications that can cause lasting damage to your smile. • The inability to properly clean your teeth. • Gum disease and dental caries (cavities). • Reduction in your ability to use your teeth properly. • Difficulty cleaning your teeth. • Lack of protection for your teeth, leading to gum problems. • Reduced performance of your teeth. Fortunately, treatment is routine and fairly straightforward. For crowded teeth, an extraction may be required. We will then follow up with braces to help ensure proper alignment of your remaining teeth. For teeth with wide spaces, we can also use aligning tools to restore proper spacing of your teeth. Other treatments for improperly spaced teeth include bridges, crowns, and veneers. If spacing and gapping is caused by a missing tooth, then a bridge can help close off that space. A crown may also work just as effectively, giving the appearance of a complete set of teeth in your mouth! Depending on the severity of your smile spacing, we can work with you to come up with a treatment plan that will give you the bright, beautiful smile that you desire. 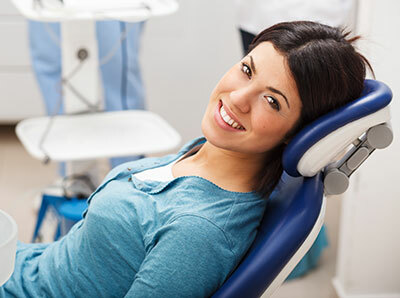 We are familiar with many different treatment options that can restore both your teeth and your confidence. Give our office a call today to schedule a complete dental exam and consultation for your spaced teeth!